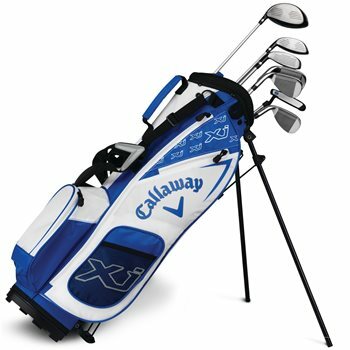 The Callaway XJ junior golf sets feature industry-leading Callaway technologies that are designed for distance and forgiveness. The ultra-lightweight sets are engineered so that each club is easy to swing for distance and has the forgiveness to make clean contact and hit solid shots. The XJ-3 set includes a 17° driver, 23° fairway wood, 27° hybrid, 7-iron, 9-iron, SW, and putter.